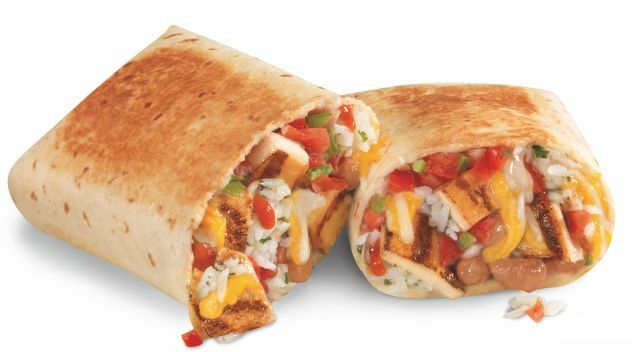 As part of a larger menu overhaul, dual-branded Green Burrito/Carl's Jr. restaurants are now charbroiling and hand-slicing their chicken and steak. In addition to the preparation change, the chain adds new ingredients including cotija cheese, cilantro-lime rice, whole pinto beans, freshly-prepared pico de gallo, guacamole, and Cholula brand hot sauce. They're also adding bottled Mexican Coca-Cola to the drink selection (made with sugar rather than high-fructose corn syrup). To highlight the new ingredients, they're being featured in two burritos: the Grilled Burrito and the Green Burrito. The Grilled Burrito features charbroiled chicken or steak, cilantro-lime rice, chipotle beans, a four-cheese blend, salsa and Cholula hot sauce, wrapped in a 12-inch flour tortilla and then grilled. 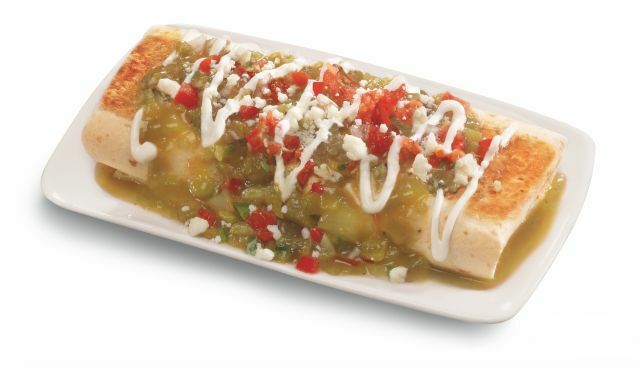 The Green Burrito takes the Grilled Burrito and tops it off with signature green sauce, crema, salsa, and cotija cheese. The Grilled Burrito is available with chicken for $4.99, or with steak for $5.79 (may vary). The Green Burrito goes for $6.29 with chicken and $7.09 with steak.